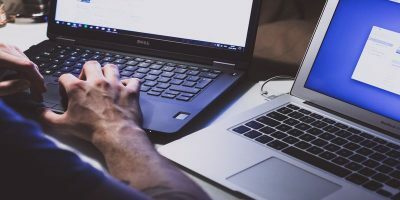 Virtualization software like VMware or VirtualBox are useful software for you to try and experiment with different operating systems without physically installing them in your PC. For those who are not aware, Windows 8 also comes with a client Hyper-V feature that allows the users to run virtual machines in it. However, it is disabled by default. 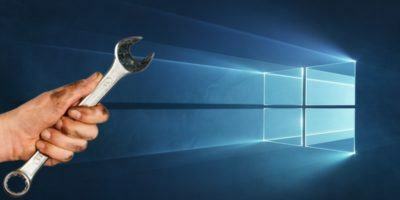 In this quick guide, let us see how to enable Client Hyper-V in Windows 8. 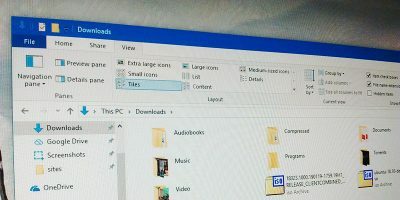 Client Hyper-V’s minimum system requirements state that your Windows 8 PC has at least has 4GB of memory (RAM), and your CPU supports SLAT (Second Level Address Translation) technology. This shouldn’t be an issue on a newer computer. Before enabling the Client Hyper-V, you can actually check if your Windows 8 PC is ready for virtualization using Client Hyper-V. To find out, open the Run dialog box by pressing “Win + R”, type msinfo32 and press the Enter button. The above action will open the “System Information” window. Scroll down the window. If the below shown values are all set to “Yes”, then you are good to go. If any of the values are set to “No,” then it means that you should enable virtualization in your BIOS settings. Once you have enabled the virtualization in BIOS, you can follow the below steps. Press “Win + X” to open the power user menu. 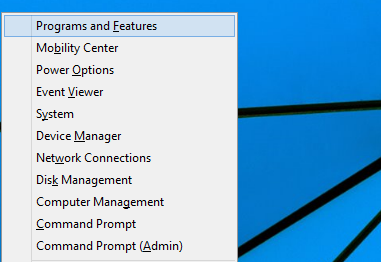 Select “Programs and Features” from the list of options. 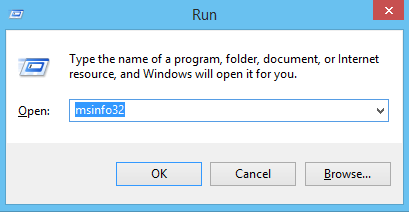 The above action will open the “Programs and Features” window. Click on the link “Turn windows features on or off” located on the left pane to open Windows features. 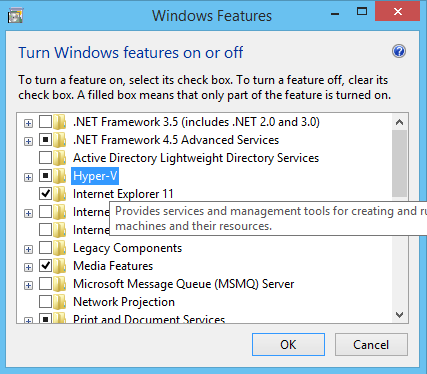 Select the check box “Hyper-V” and click on the “Ok” button. If you want to, you can click on that little “plus” icon to see what components of Hyper-V are enabled. 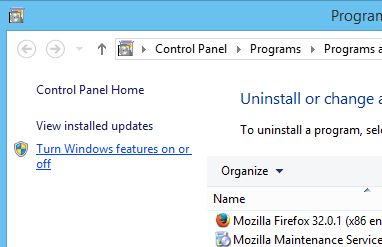 As soon as you click on the “Ok” button, Windows will enable all the required dependencies and binaries to the Windows installation. Once Windows finishes the process, restart your machine. 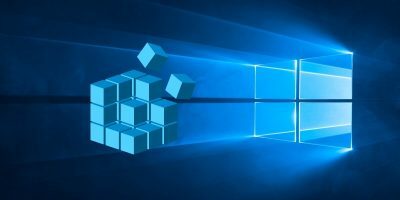 From this point forward, you can start using Client Hyper-V to install and run virtual machines like in any other virtualization software. 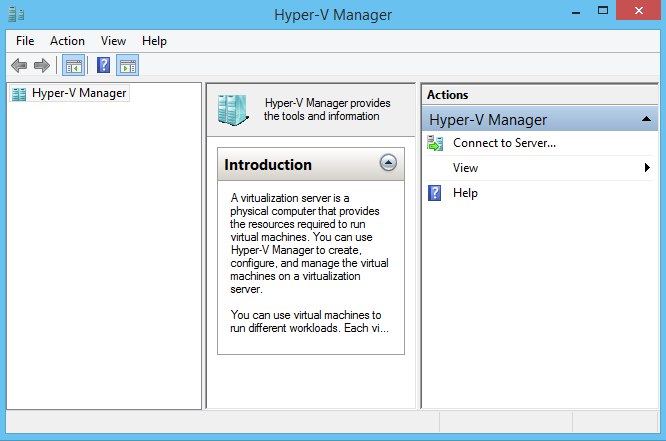 That’s all there is to do, and it is that easy to enable Client Hyper-V in your Windows 8 machine. 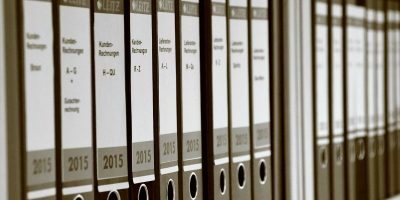 Hopefully that helps, and do comment below if you face any problems while enabling Client Hyper-V in your Windows 8 computer. 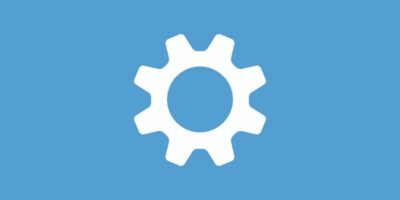 It is worth noting that most computers come with virtualization disabled in the BIOS and you cannot install Hyper-V with it turned off. Followed your instructions on enabling virtualization in bios, on the system info it shows that all four entries related to Hyper-V are yes. but it does not appear in my Windows features. 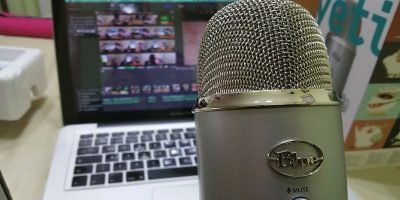 What do you recommend. Client Hyper-V is only available for Pro and Enterprise users. So please check you Windows version. I have noticed in some bios, it is under some obscure settings that are completely impossible to know the correct setting unless someone has told you, (as they are not clearly labeled or indicated as such for virtual use). e.g. APIC , should be enable to host virtual machines on a 64 bit machine. With out this enabled you could still run VM’s on a 64 bit host albeit only 32 bit mode for VM guests or children.